After Thad Matta abruptly left Ohio State this summer, incoming freshman Braxton Beverly was granted his release by the Buckeyes and he transferred to N.C. State. The four-star point guard recruit (who once scored 70 points in a single high school game) hadn’t played for the Buckeyes or anything, and he’d only been at the school for a few weeks before Matta left. 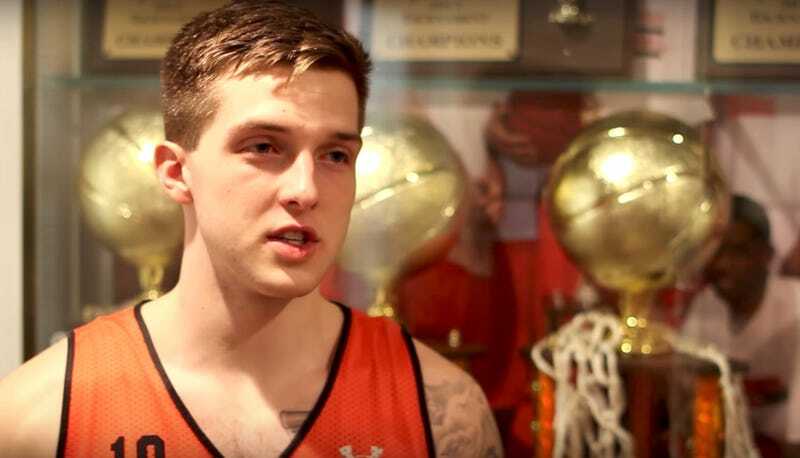 However, he had started attending summer classes at OSU, and thanks to the NCAA’s byzantine transfer regulations, that was enough to get him ruled ineligible for the entire 2017-18 season. N.C. State won’t be penalized at all, but the NCAA announced this morning that Beverly would have to sit out the year. Beverly began taking Rural Sociology and Life Span Human Development on May 10. Matta was fired on June 5 and Beverly left the school shortly after. Because he was enrolled in classes, the NCAA considered him a transferring freshman rather than a prospect asking out of a letter of intent. Beverly released a statement and said he planned to appeal the decision. I’m devastated by this decision, it’s incredibly unfair. I appreciate N.C. State and the work being done here to appeal this decision. My hope is that it gets resolved and I can be eligible to play this season. Beverly’s fellow N.C. State freshman Lavar Batts also joined the Wolfpack after committing to another school (VCU), but because he didn’t start taking classes yet, he will play this year. This is, however, the second time N.C. State has been shafted by the NCAA’s nonsensical transfer regulations, as guard Terry Henderson was denied another year of eligibility because he played seven minutes before injuring his ankle in the 2015 season, which they counted as a full year of play. Rarely has one school’s offseason so perfectly highlighted what an exploitative mess the NCAA is, especially since the Beverly ruling came on the same day that the NCAA shrugged its shoulders and let UNC off the hook for gross academic fraud.